There are a number of challenges that come with building a shipping container home. And, all of them require professional help to overcome. Everyday, thousands of empty shipping containers occupy shipping docks, often because they are too expensive to send back to their point of origin. Firms in the business of shipping cargo instead choose the cheaper option of buying new containers. So with the high surplus of shipping containers, more people are looking into recycling them and turning them into different types of buildings. It’s for this reason that the shipping container home is becoming more popular. As more people around the globe are growing more environmentally conscious, shipping containers come to mind for many as a green material for their home building projects. But there are a number of challenges that come with building a shipping container home. And all of them require professional help to overcome. Container homes are subject to council approval. Even though you can be fairly flexible with the design and aesthetics of your shipping container home, it is important to know the policies and set standards for homes in your State. A professional can help you draw and document the plans for your house, to certify that you will be building an architecturally sound structure, which can simplify the process of getting council approval to build your home. While most think shipping container homes are completely eco-friendly, reusing old shipping containers entails the use of chemicals. Cargo containers are coated with chemicals to make them durable for ocean transport. Shipping container homes with wooden floors also usually get chemical treatment against pests. Handling any sort of chemical treatment for construction can be harmful if you do it yourself. It is best to hire a professional and trust their expertise in preparing a shipping container for architectural use. Every option requires professional expertise from an architect or a building designer, for effective design and space planning of your shipping container home. Shipping container homes, contrary to popular belief, actually requires a significant amount of energy to build. This is because a lot of work goes into making containers suitable for habitation. Most used containers need sandblasting before you can build with them, aside from additional treatment to remedy wear and tear from transport. Then you’ll need to cut openings for windows and exits and replace the floors. To minimise waste and save time and energy, you will need a professional who can help prepare containers faster and with less likelihood of error. 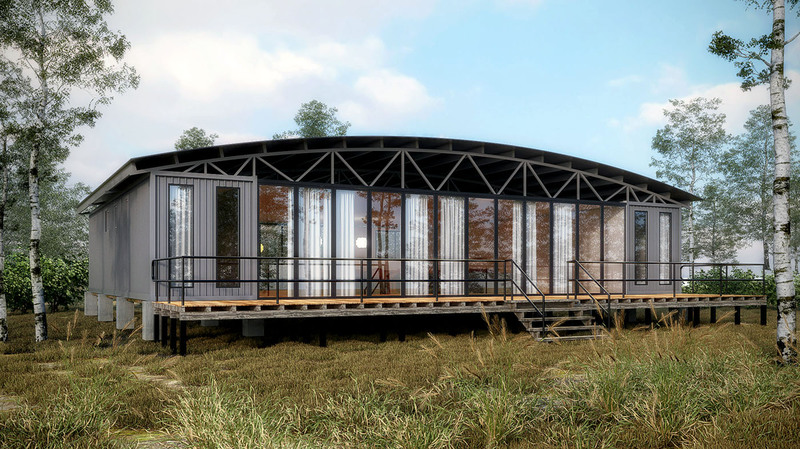 They can help plan the design for your shipping container home, and give you advice on methods to use for turning containers into an architecturally sound structure. Unlike what most might think, shipping container buildings do require work to insulate, especially in places with extreme climates. Insulation is important to get right during the building stage; redoing it will cost a lot of money. Because of this, like with any kind of building, it’s best to trust a professional to design and install insulation for your container home. Building a shipping container home is generally a great idea where there’s a surplus of containers, and where people are in dire need of shelter. But if done wrong, constructing a container home might be hazardous to safety and the environment, in addition to costing more money. Enlisting the help of a professional ensures that your container home gets approval to build from your area’s governing body, that its design is up to standard, that your methods impact the environment as little as possible, and that you get to save money on construction costs. Work with Shipping Container architects in the Gold Coast. Shipping containers are our LEGO. Building a good shipping container home requires expertise. Talk to us about your container home project. We can help.